Purebred: Soul of the Mixed Blood | Home of the Thurian Saga Books! Orphaned by the brutal death of her mother right before her very eyes, a young Anati child flees into a nightmare of lonely survival, desperate hunger, and fearfully haunted nights. In the very same city, a young purebred Nephti kit has everything she could ever want – prestigious parents, a noble family house, and a well appointed lair. These two will become the heroines of their age and legends of the ages to come, but the path that leads them there will be neither easy nor glorious. Vanarra Anasto grows up as an outcast, hiding from society while Sahnassa de Orturu flees from the expectations her parents and family lay upon her. 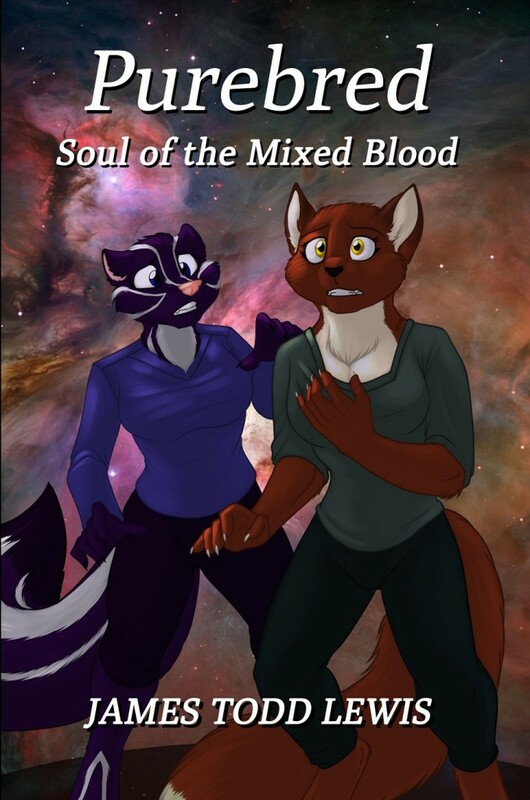 As Vanarra claws her way slowly forward, hoping to survive and one sol find a future, Sahnassa’s future is challenged and undermined by the very family sworn to protect and nurture her. When the two meet, necessity pulls them together, but the clash of their different worlds constantly pulls them apart. Although they settle into an uncomfortable friendship, Sahnassa’s family begins making overtures of reconciliation towards her. Vanarra feels bitterly betrayed, and the pain and hurt of so many seasons of abuse and neglect from the paws of purebreds causes her to lash out. Emotionally wounded, Sahnassa flees back to her family, wondering if a purebred can ever understand the soul of the mixed blood. Book Status: AVAILABLE FOR PURCHASE!!!! Exciting and Unabridged Audiobook Presentation at jamestoddlewis.selz.com (>20 hours)!! !